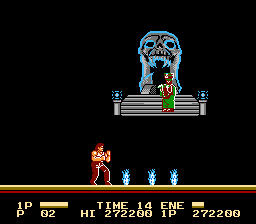 Main character and all enemies are total or partially redone. Title screen and graphic art are 100% completely redone too. Most important of all. There’s NO NINJAS in this version. Why? Cause original movie doesn’t have too much sense, but ninjas on Little China? 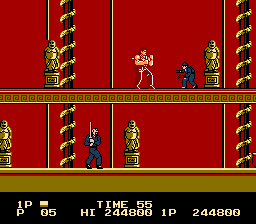 Now all enemies are members of the Wing Kong Gang. Most part of the scenarios have slight changes on colour palettes, or elementes replaced, or shadows added on flat elements. Now enemies has same color, which makes them more challenging (and less like Power Rangers). 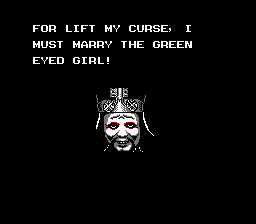 Added cameo and special Guest Character as a Boss on scenario 3, just check it out! 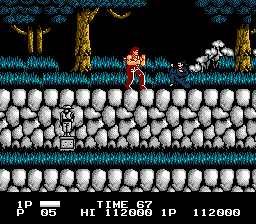 Lots of minor changes like lifebar, or textfont. 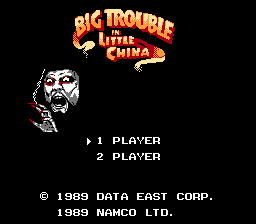 Note: Apply patch over the pre-patched Big Trouble in Little China ROM.